Beginning August 25 the California Center for the Arts will present a 10 week free concert series. 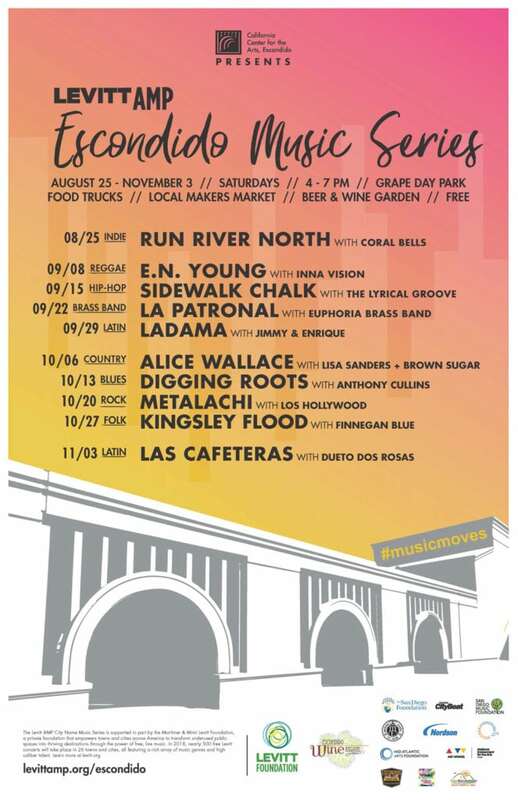 The Music Series will bring new life to the Great Green Lawn at Grape Day Park – the oldest park in the city – filling the sprawling, centrally located green space with family-friendly entertainment to highlight its potential to serve as a gathering place for the city’s diverse communities. We are excited to be a part of this wonderful series and will be offering a free hands on art activity during the concert.